In this training session, we will help you get started learning how to code in Python, one of the most popular and in-demand languages in use today. While it was created with beginners in mind, don't let its simple nature fool you. It is used by professional developers in a wide range of applications, like web programming, data analysis, artificial intelligence, and dev ops. Along the way, you will also be introduced to a number of fundamental programming concepts, like variables and functions. The lessons will be hands-on, with byte-sized problems to solve along the way. You'll also get to tie it all together with some larger programs in the form of text-based games. The overall goal will be to help you kick-start your programming or Python journey, and show you just how fun and rewarding it can be. 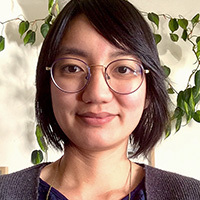 And you'll be able to - Write simple programs in Python - Take user input - Use common libraries like "math" and "random"
Arianne is a freelance software developer and educator from the University of British Columbia and an instructor for Canada Learning Code and MakerLabs in Vancouver, BC.